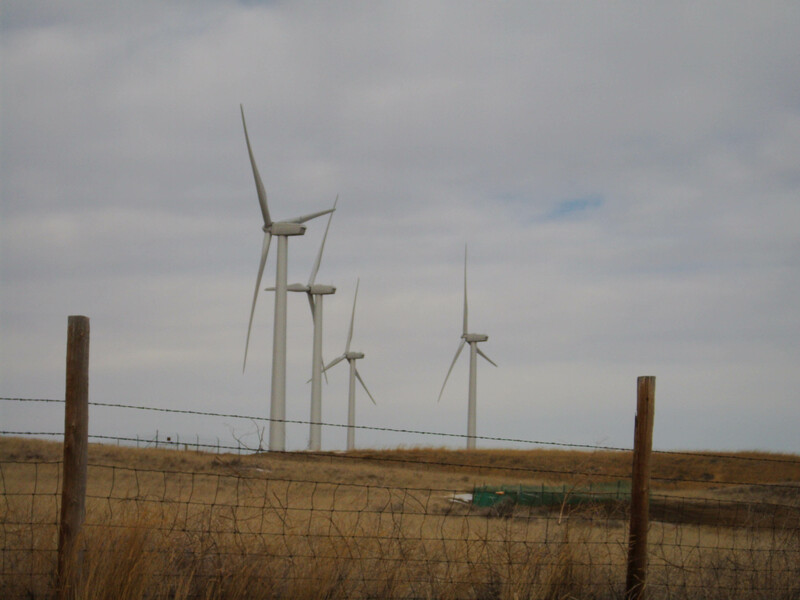 There does exist a group in Wyoming and supported by Governor Dave that is looking into what people want in Wyoming and trying to deal with wind energy. That would sound encouraging, but the legislative over-sight that allowed thousands of Wyoming acres to be turned into rural slums with no services still exists. And it probably always will. If in 35 years the only change in that piece of legislation was passed allowing counties to require realtors to be more honest about what they were selling (and this only after someone died....), it's unlikely any change will occur. Wyoming tries not to regulate. Which does mean there are fewer rules, but far more ways to exploit the state and the land than in other places. The exploitation is often by those living in states that do regulate who find the lack of rules very helpful to their businesses. The Governor also said the people he knew who were opposed to wind energy lived near turbines. Trust me, I do not live within 5 miles of any turbine but it would be hard to find someone more opposed. Believe it or not, some of us actually oppose turbines due to lack of functionality, and the huge amounts of money taken from tax payers for this worthless idea. Some actually do think that if those who opposed oil and gas due to environmental damage from the drilling and the loss of landscapes do not oppose wind turbines, they are hypocrites. It has nothing to do with our back yards. I oppose turbines no matter whose back yard. If we believe that alternative energy is necessary (and I am not saying that it is) we need REAL alternatives and not some feel-good, works-bad left over idea from the seventies. Wind turbines simply cannot fix our problems and will result in a huge amount of environmental destruction. In a time when the economy is very weak, pouring billions (yes, that's billions) into wind energy and having no measurable increase in available energy or any decrease in carbon emissions (can't actually shut down power plants so no net carbon loss) is tremendously irresponsible. Individual turbines (on homes and businesses) might actually allow some shut downs in power plants because of averaging. While an individual home needs power all the time and relies on the coal fired power plant for its electricity, multiple homes will have power needs that occur at different times--some need power early in the day, some in the evening. The overall average should hopefully show a decrease in overall need throughout the day, allowing us to reduce power plant output. Plus, individual turbines would allow for DC applications in homes--yes, that requires batteries, etc, but there is a reduction in carbon output and a reduction in dependence on the local power plant. There was a reason AC was chosen as the major form of electrical production in America--it is more flexible and reliable than DC. However, with the interest in "off-the-grid" living, DC applications are available for many household items. Individual turbines would require more work on the part of home owners and would require a better understanding of how electricity works and the willingness to maintain the DC system. Whether or not people would be willing to learn to be more self-sufficient with energy is not certain.